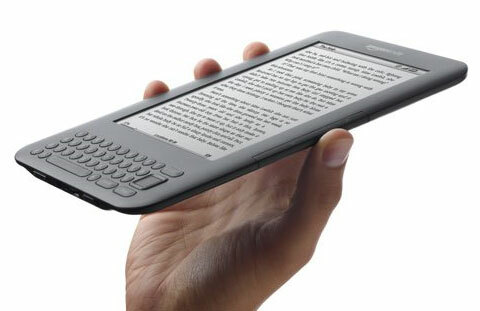 Amazon announced on Wednesday that it’s beginning to ship the new generation Kindle already, i.e. 2 days before the originally announced date. The new Kindle was unveiled by Amazon on 28th July this year with lots of new features and a much smaller and lighter design. Kindle is the best-selling product on Amazon.com for two years running and our new generation Kindles are continuing that momentum. Readers are excited about all that the new Kindle has to offer–50 percent better contrast, 20 percent faster page turns, 15 percent lighter, up to one month of battery life–and a new price of only $139. This is not all that’s triggering the sales frenzy though. The new Kindle can store up to 3500 books and has built-in WiFi. The U.S. Kindle Store now has more than 670,000 books, including new releases and 107 of 111 New York Times best sellers. Over 550,000 of these books are $9.99 or less. Over 1.8 million free, out-of-copyrights, pre-1923 books are also available to read on Kindle devices and more than 235,000 books have been added to the Kindle Store in just the last seven months. With Kindle’s Worry-Free Archive, books you purchase from the Kindle Store are automatically backed up online in your Kindle library on Amazon where they can be re-downloaded wirelessly for free, anytime. So, if you’re a book worm and are willing to dole out $ 139, the new Kindle is your best friend.